On Thursday, December 6, 2018, Rainbow Schools students in Sudbury, Espanola and Manitoulin Island will canvass their neighbourhoods for non-perishable food in support of the Edgar Burton Kids Helping Kids Food Drive. 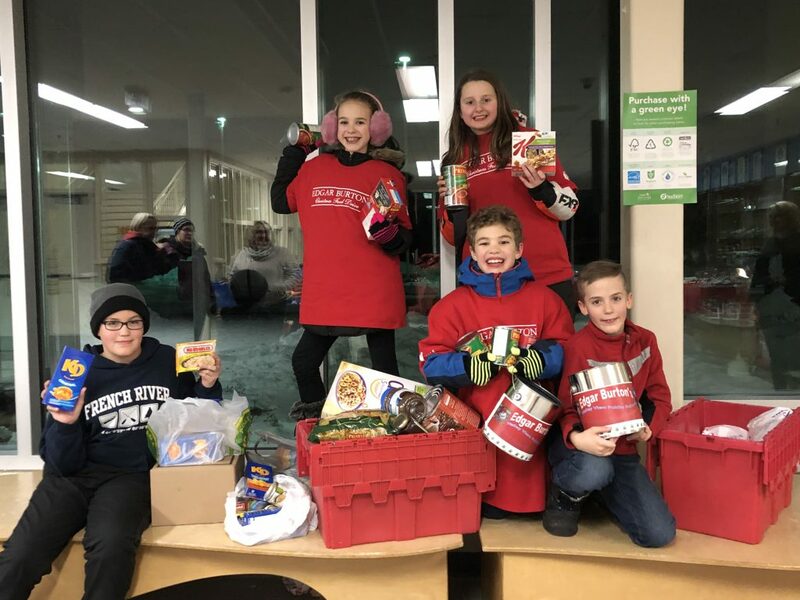 MacLeod Public School garnered the first place torch at this year’s food drive kick-off event on November 15, 2018 for their contribution of 72,314 food items to the Rainbow District School Board’s grand total of 281,747. Students in Rainbow Schools in Sudbury, Espanola and Manitoulin will canvass their neighbourhoods for non-perishable food on Thursday, December 6, 2018. 92.7 Rock will be live on location at various schools throughout the city to help kick-off the event. This is the fifth annual Rainbow Kids Helping Kids Day, which is part of the Rainbow District School Board’s annual efforts to support the Kids Helping Kids Christmas Food Drive in memory of Edgar Burton. Rainbow Schools have been awarded the coveted Kids Helping Kids torch for most food items collected eight times over the past nine years. 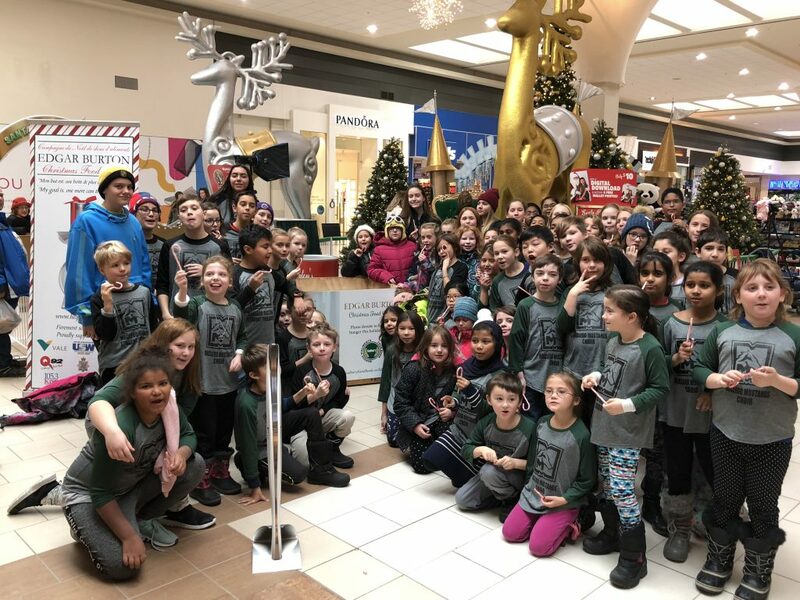 MacLeod Public School brought in 72,314 food items in 2017, earning them the first place torch at this year’s Edgar Burton Christmas Food Drive kick-off event.